What’s a sure sign that it’s finally Spring? Retiring your thermals, yes. Hayfever sufferers looking like a rabbit with myxomatosis, definitely. But more excitingly it’s the arrival of bluebell season. We’re so lucky to have the most incredible number of bluebell woods in Berkshire. I’ve drawn up this list as a prompt as these stunning fields of blue are about to start to bloom and will only last a few weeks. 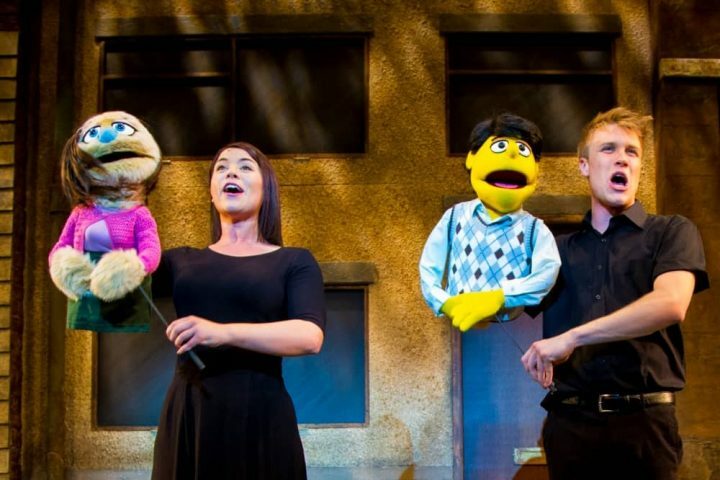 So, chop chop! Every year when I write about bluebell hotspots I receive a flurry of messages about the ones I’ve forgotten. Have I finally nailed the list this year, I wonder? 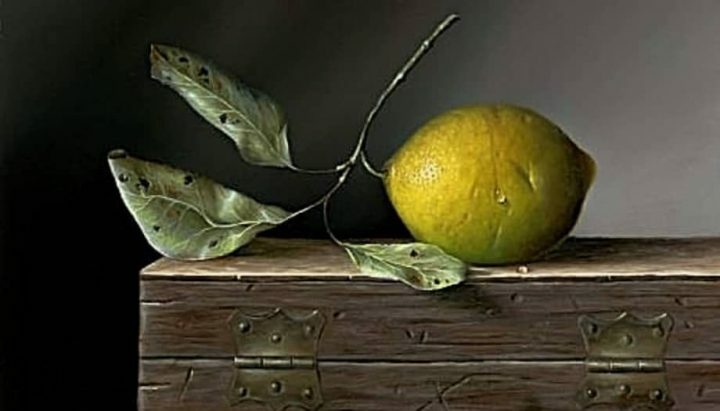 Please let me know if there are any omissions! At Basildon Park just ask at the visitor centre for the best places to spot them around the grounds. There are number of walks you can enjoy of varying lengths. So if you have little Mudders the National Trust staff will point you in the right direction and the best routes to take. We say Berkshire (*ahem* some say Buckinghamshire), but who cares, right? We can share the border and the beautiful Cliveden with our county neighbours. Particularly as there is more than enough it to go around. 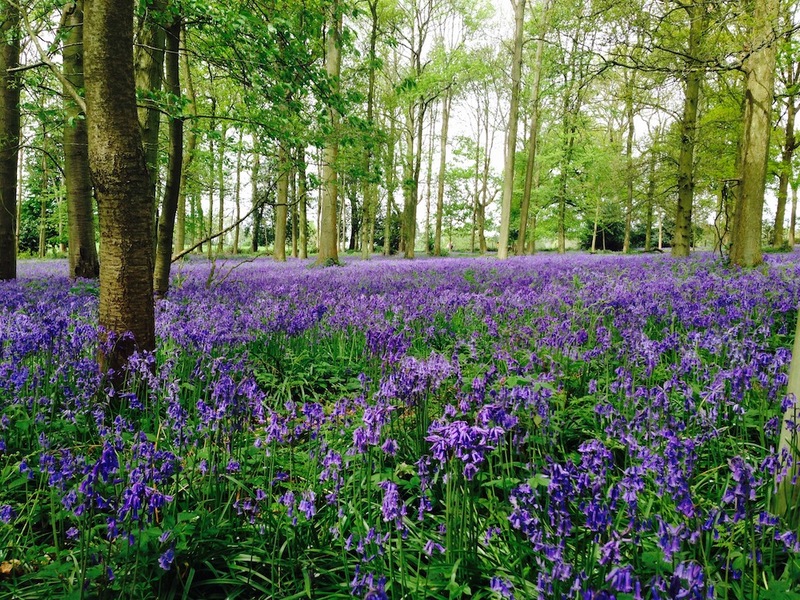 Enjoy miles of woodland paths and the carpet of bluebells on the woodland floor. The many paths mean that the flowers don’t get trampled and you get the full effect regardless of the many visitors. Pit stop: If your purse doesn’t stretch to the Astor Grill then The Jolly Woodman is 2 miles away. Every year Rushell Farm opens up its woodland for beautiful bluebell walks in aid of Reading MS Society. The spring strolls start from the impressive Rushall Manor and take you on a variety of walks on ‘permitted paths’ that vary in length from a dedicated 5 miles down to a short, ‘wheelchair friendly’ circuit. Pit stop: You’re a a minutes from The Old Boot in Stanford Dingley – loved by locals, it’s cosy, with a big garden to boot the kids out. Pope’s Meadow, names after Binfield’s most famous resident – the 18th century poet and philosopher Alexander Pope, is a Green Flag Award winning site and has a small wooded copse full of bluebells. You never know, it might even inspire you write poetry too. At Binfield Road in Bracknell are The Three Copses (Temple Copse, Tinker’s Copse and Jock’s Copse ) – hazel coppice woodlands full of bluebells with a handy circular walk through them. Pitstop: The Dog and Duck is just 4 miles away. Moor Copse in Tidmarsh (between Theale and Pangbourne) is an area of tranquil woodland surround by a patchwork of meadows and pastures set in the heart of the Pang Valley. There’s a free guided tour on Saturday 29 April, 2.30pm-4.30pm to see the bluebells, early purple orchids and cowslips at their very best. It’s a 2-mile stroll, but the paths can get a bit muddy in places, so sandals and heel are probably not a good idea. Pit stop: Make a dash to The Swan in Pangbourne, a riverside pub, just 2 miles away. 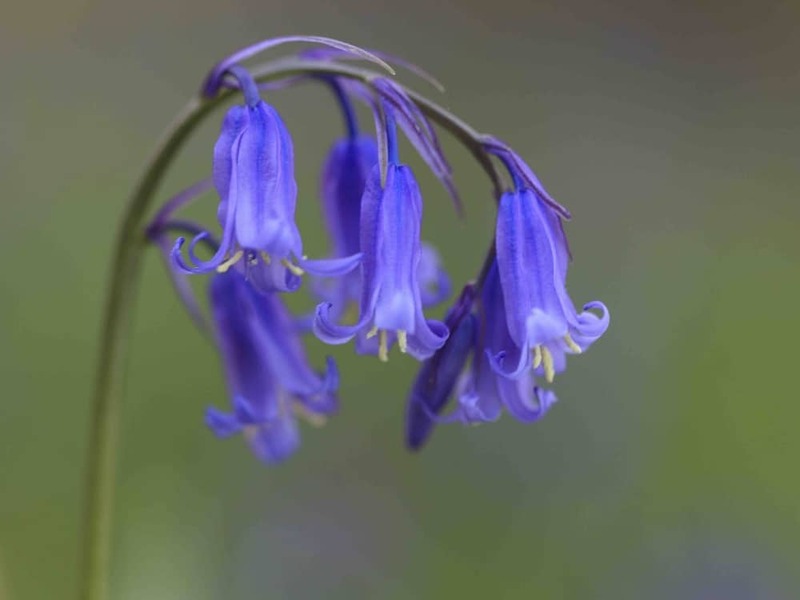 The Warburg Nature Reserve in Henley is holding a gentle guided stroll around the reserve to see the bluebells, other wild flowers and all the signs of spring on Saturday 28 April, 2.30pm to 4.30pm. Pit Stop: Rowers’ favourite The Little Angel on the Berkshire side of Henley, is 5 miles away. 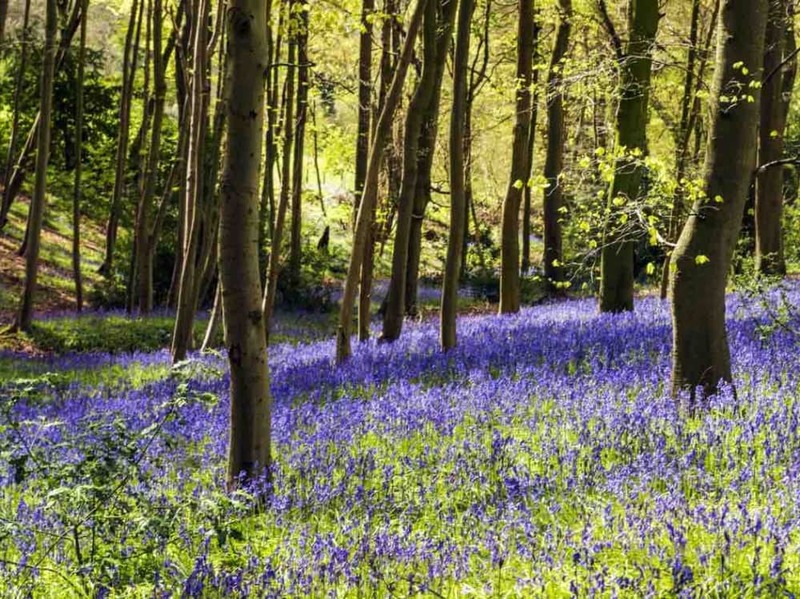 Bowdown Woods just south of Newbury is a magical ancient wood that stretches from the vast heathland at Greenham Common down to the River Kennet and is full of hidden valleys, sunny glades and patches of heathland with bluebells at every turn. The Wildlife Walk takes in some damp clay areas on the lower slopes and steep climbs up to higher, drier ground. Pit stop: The award winning gastropub The Newbury, is just 3 miles away in Newbury town centre. 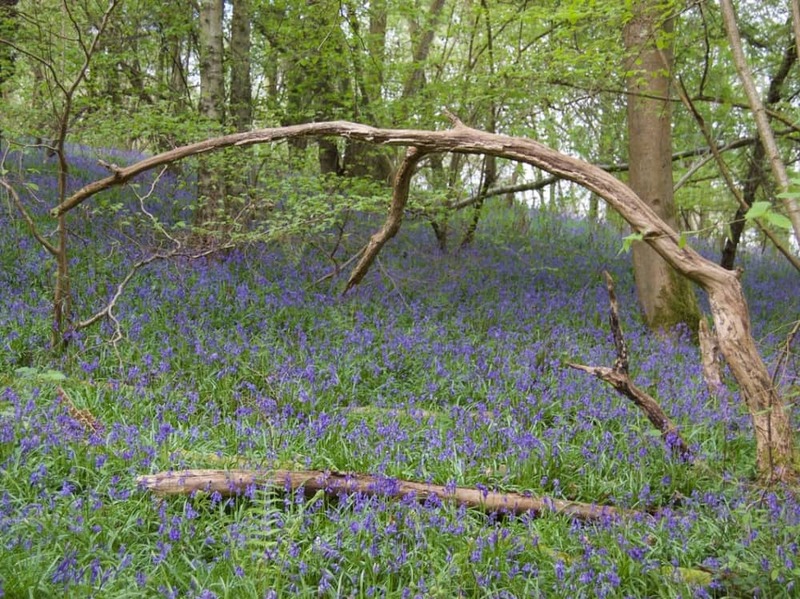 Fernygrove Farm‘s usually open their ancient bluebell woods to the public from mid-April (10am-3pm). Drift around the sea of blue in your own time – it takes about 45mins to walk around. It’s a bit rough and uneven in places not not particularly suitable for pushchairs or wheelchairs. Donations are made for Sebastian’s Action Trust. Pitstop: Well, you don’t have to go far, there’s a lovely cafe in the farm shop. If you fancy a pub lunch, The Winning Post in Winkfield is just 2.5 miles away. Worth creeping over the border for. Greys Court is not only a magically pretty National Trust building and gardens well worth a visit in its own right, but the Spinney Woods are a sea of English bluebells. The walk itself is either a toddler-friendly 750 metres or a more stretchy 2-3k. Pit stop: Antony Worrall Thompson’s The Greyhound, Rotherfield Peppard, is 2.5 miles away or The Bull On Bell Street is a 7 minute drive. Bit of a hidden gem and a little off the beaten track… largely because it’s in Wilts. Eek. I know, I’m playing fast and loose with the county lines, but in fairness this pretty bluebell loop takes your from Chilton Foliat into Hungerford and back (if you fancy) or your can just meet the driver in the local pub. Pitstop: You’re spoilt for choice, for cool cafes in Hungerford – Eliane Smiles is a Muddy fave. But I’d recommend either The Pheasant, Shefford Woodlands or Dundas Arms in Kintbury, both a short 4 mile drive from Hungerford. Also worth visiting: Chazey Wood, within the Mapledurham estate. Highwood, Woodley with its mixture of lowland woodland and heathland which used to be part of the grounds of Woodley Lodge. The Coombe, Streatley, has an abundance of bluebells in the spring. Cayfield Copse, Caversham has a lovely woodland walk suitable for buggies and wheelchairs. Don’t forget Sulham Woods…. Greyhound or The Elephant quite close!